The GM HT6 is one of the most popular compressors replaced today. 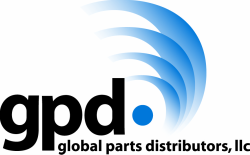 global parts distributors, llc (gpd) offers two Sanden options for the two most popular HT6 compressors. The first is the 6511339 HT6 O.E. style compressor for the GM 5.7 V8, gpd offers the 6511340 Sanden style replacement compressor. Next for the GM 4.3L V6 applications with the 6511338 HT6 O.E. style compressor, gpd offers the 6512124 Sanden style replacement compressor. So whether your customer wants an OE style replacement or a compressor with a cost advantage, gpd has all your compressor needs.